Obituary for Charles "Sam" Levine Fringer | Fletcher Funeral & Cremation Services, P.A. Charles Levine “Sam” Fringer, 86, of Hanover, PA, died Sunday, March 24, 2019 at UPMC Pinnacle Hospital, surrounded by his loving family. Born December 26, 1932 in Westminster, he was the son of the late Myrtle (Cummings) Fringer and A. Roy Fringer. He is survived by his loving wife of 67 years, Hilda M. (Brown) Fringer. He was a retired truck driver, retiring from Bee’s Distributing in 1998. 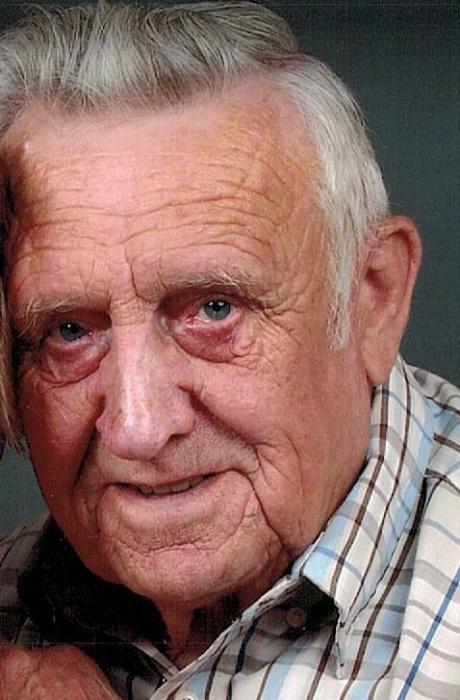 He was a lifelong member of the Littlestown Eagles No. 2226 and McSherrystown Moose No. 2179. He was an avid Orioles fan, loved playing Bingo and spending time with his family. Besides his wife, he is survived by daughters and sons-in-law, Marsha “Marty” Pittinger and husband Francis of Keymar; Donna Sharar and husband Bentley of Littlestown, PA; Shelly Losier and husband Samuel of Latrobe, PA. He is also survived by 8 grandchildren, 17 great-grandchildren, a great-great granddaughter, a sister-in-law, Catherine Fringer of Westminster and numerous nieces and nephews. He was predeceased by a son Ronald Levine Fringer. Sam was the last sibling of his family. He was predeceased by brothers Kenneth, Donald, A. Roy Jr., David Sr. and sisters Mildred Demoss and Betty Sentz. The family will receive friends on Thursday, March 28, 2019 from 6 to 8 p.m. and Friday, March 29, 2019 from 10 to 11 a.m. at Fletcher Funeral & Cremation Services, 254 E. Main St., Westminster. Funeral services will be held on Friday, March 29, 2019 at 11 a.m. at the funeral home with Deacon Charles Barnhart officiating. Interment will follow in Evergreen Memorial Gardens, Finksburg.